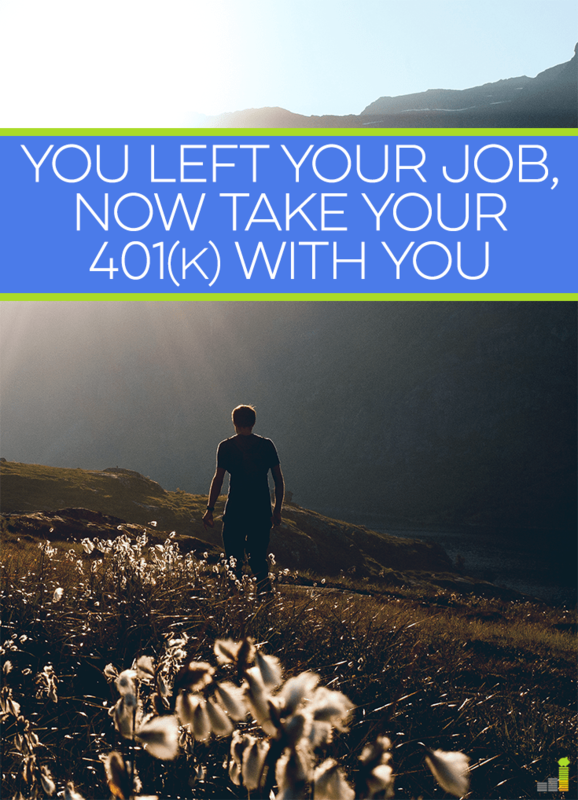 I recently left my former employer (more on that later) and one of the first calls I made after making the decision was finding out what I needed to do in order to rollover my old 401k. I wanted to make sure that I had control over my retirement money and my 401(k) makes up a substantial portion of that. 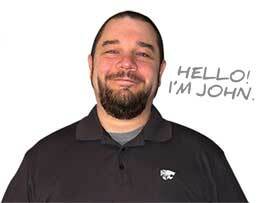 Unfortunately, I am in the minority when it comes to rolling over my old 401(k). Statistics show, as of 2010, that 15 million Americans have left behind an old 401k with former employers. I’ve spoken with enough people over the years to know that most are confused by what to do with their old 401k and are surprised to learn that it’s not that difficult to perform a 401k rollover. The most common thing I’ve seen with individuals who have left behind an old 401(k) is that they don’t know what to do. They think they might be taxed, or that a ton of paperwork is required, or that it simply can’t be done. Generally, none of those beliefs are true. As long as the old 401(k) is going to the 401(k) at your new employer, or into a Rollover IRA, then it’s generally tax-free. In terms of paperwork, usually a form or two is all that’s required. After you fill out the paperwork, then your work is usually done and the rest of the legwork will take place between your old employer and the final destination of the funds. Another thing to keep in mind is that many 401k plans will require you to move the funds if they’re under $5,000 in value. Each 401(k) is different, but in general most plans will switch the investments you can be in once you leave the plan. This resulting change can further limit your choices, which gives you as the investor lack of control over that money. Why would I want to leave my money somewhere that won’t allow me to invest it as I see fit, or severely limit what I can invest in? When you look at the possibilities of what you can do elsewhere it does not add up to leave your old 401(k) with a former employer. For those who like Classic Rock, like I do, you’ll recognize this line from the popular Steve Miller Band song. This is how we should view our old 401(k). I like to think of it as I did not want to be with my former employer any longer, so why should my money be there? The money is yours and you should take control over how it’s invested. As a frugal person, I want to have say over where my money is and how it’s being used. Like mentioned previously, many plans will change your investment options once you leave the plan. Often those can be mutual funds than can have high fees. By rolling over your old 401(k) into a self-directed IRA, you can significantly lower your investment costs by investing in index funds or solid, dividend-paying stocks. Check out my Motif Investing review for one such brokerage that offers a great service for limited cost. Another nice benefit of rolling over that old 401(k) is that many brokerages offer a cash incentive based off of the dollar amount you bring over. You also get to benefit from having a broadened selection by which to invest your money, which can also help you further diversify your retirement investing. If putting it in into a self-directed IRA is not an option for you, then look to roll the 401(k) into your current 401(k) plan so you can keep the plans together. Too many times I see people simply cash out their 401k plan. Of course, if you’re in dire need of money you may have no other choice. But, if at all possible, you should try to avoid cashing out of the plan. When you cash out of a 401(k), you’re usually going to run into at least a 10-20% (especially if you’re younger than 59 ½) tax hit that will be owed to Uncle Sam. As a frugal person, I hate giving up my money to the government, especially money that I’ve worked hard to save. 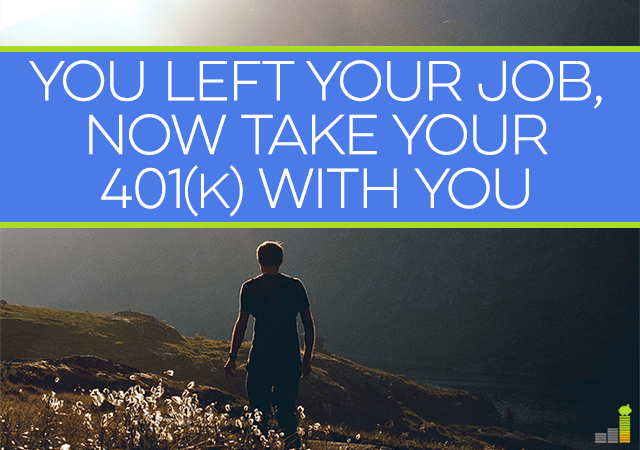 If retirement is a goal of yours, then it starts by not cashing out of a 401(k) when you leave a job. Do you have an old 401(k) out there? If so, how many? I’ve spoken to some who have two or three old 401k’s they have not moved. I do not have an old 401k, but then again I’ve only graduated college a couple years ago. These are good things to keep in mind because the odds of me staying at the same employer for the next forty years are pretty slim. You bring up a great point DC. The culture has changed to where many people won’t be staying at their employers for decades, which makes rolling over your 401k even more important. Hopefully this won’t be an issue for me. I plan to stay with the same employer and retain my final salary pension scheme. I consider my retirement plan to be extremely valuable and important! That’s great! I am sure there are some differences between British and US retirement systems. I know that a lot of companies in the States no longer offer a pension. This is true, but…I wonder how long it’ll be that way. No telling with an upcoming election! In New York, you are looking at more tahn half your pay being taken away in the higher tax slabs, between federal taxes, state taxes, social security and medicare. Plus no pension. Only relief is retirement accounts that give some tax advantage. I would love to have pension. It’s weird to me that something like that isn’t one of the most important things in someone’s mind when they leave a job. I mean, um, helLO? It’s your money, and you don’t know where it is or how you can get it? It’s YOUR money, so figure it all out! I completely agree TB. Like I said, if I did not want to be somewhere…why on earth would I leave my money there? It’s shocking to think about how many people just leave this money. Most of it probably comes from being lazy and the rest comes from people being uninformed about their rights when they leave a job. I totally agree Sean. It never ceases to amaze me when I talk to people in this situation. I think you hit on the two key issues behind why it happens so often. I had a 401k with an old employer at one point, it didn’t have much in there maybe $900 (I was still a student at the time). When it came to switching jobs I just cashed it out, probably not a good choice looking back at it now. I should have saved it and put into another investing vehicle, would have a lot more by now. As a young student I made plenty of mistakes heh. That’s the key, passing on lessons from mistakes. None of us are perfect, I’ve made my share of them, but I am glad I can pass on some wisdom. Timely post for me; I just rolled mine over, too! I’d been putting it off for years, and it ended up being a lot easier than I thought. Now, I just have to figure out how/where to invest it. Daunting, but at least I have control. Great post! Good for you Kristen. You’re right, it comes down to having control over your own money. Thanks for stopping by! I rolled over my wife’s 401k into a rollover IRA. Very happy we did because the IRA offers so many more investment choices! That’s exactly right. I love being able to have more options than a few mutual funds. Thanks for stopping by! I think people are intimidated by anything having to do with investing many times and just don’t know how to do a rollover. Amazes me that they just leave it there, but I bet it happens all the time. I’ve never had to deal with that issue, but certainly would if the issue came up. I think you’re right on Kim. I think many just for one reason or another don’t know what to do with it and just either leave it or forget about it. Certainly don’t want to cash out, if at all possible. That’s a great point Jason, thanks for bringing it up! I love Roth’s as well and are a great tool. I have not converted ours yet, but will definitely be looking to do so in the near future. In my case, I have set up a self-directed IRA that allows me to use my 401k to invest in real estate. I can buy and sell properties, and like other self-directed IRAs, I don’t pay any taxes until I start removing money from the IRA. Thanks Terry. I’ve heard about IRA’s that will allow you to do that. That can be a great way to diversify. From what I’ve heard though, I could be wrong, there are not many institutions that will allow you to hold real estate in an IRA. Thanks for stopping by! I generally agree with you about rolling over an old 401(k) when leaving a job. Perhaps the exception is a situation where say someone is in a plan with a very large corporation and they have access to a solid menu of institutionally priced funds (index and active). The most important point that you made was in your last sentence. I encounter folks with 2-3 or more old 401(k)s between them as a couple. I’ve written a couple of articles on this situation which I call financial clutter. That’s a great point Roger! I’ve wondered on the percentage of people who have access to something like that when they leave a job. I think it’s somewhat common to change what funds you could access, but should be looked at as a potential possibility. I’ve regularly spoken with people just as you have Roger, those that have mulitple 410k’s floating around somewhere. Always surprises me as I am one to want to know where my money is & what it’s in. I love the point of calling it financial clutter! Leaving a 401K with an employer after leaving is not always a bad choice as some plans have excellent choices and low costs. Also in the case of a divorce you want to think carefully before deciding what to do with the money. Leaving the money in the plan if directed by a QDRO will allow you to withdraw funds without the early penalty fee. Hello …. So I have a BIG problem. I as a child was informed of a lot of things that would come to be in my adult life but I was never aware that I was suppose to Roll over my 410ks. 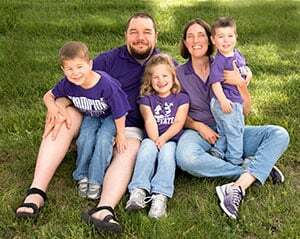 I know It sounds ridiculous but I’m a single mom with hardly any time on my hands but I am wanting to invest soon so how do I go by getting any money that i have left behind with other employers if my old 410ks still exist???? Good question Katherine. Many people deal with the same thing. I’d encourage you to reach out to your old employers and simply ask. You might want to use a service like Blooom. They help you analyze your old plans and set up an investment plan for the funds. It’s free to get an analysis.